It’s an innovation in the field of the machine mounts made of rubber. 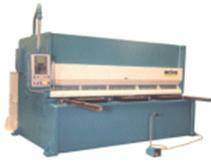 It enables to insulate a very wide range of machines from active and passive vibration. · Best quality of materials. The damping element is made of ADIPRENE, a polyurethane elastomer obtained through casting and a slow reticulation in the furnace. Its case is made of ERGAL, an aluminium alloy known for its excellent mechanic performances that is machined from the solid. · Easy and rapid installation even on working machines. The wide range of products available makes it suitable for different types of machines, even with heavy weights and with a minimal lifting of the plants. · The high quality of materials used allow the product to have a long life and makes it resistant to usage, to compression, to friction, to abrasion, to atmospheric corrosion, to lubricants and to temperatures between -60° and 85° C.
· The result is a considerable vibration reduction, with a subsequent increase of machine productivity at a convenient and competitive price. The main applications for our shock absorbers and vibration dampers are mechanical presses, shears, punching machines, air conditioning plants, compressors, industrial pumps, and a broad range of machine tools. 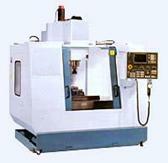 These products are also fit to protect precision machines from passive vibration. Two types of EASYDAMPER are available, the difference is the hardness of the polyurethane elastomer: 62 and 82 shore. 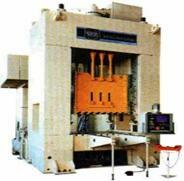 EASYDAMPER is suitable for a very wide range of machine tools.